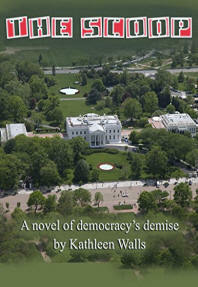 Experience life in American under a ruthless, narcissistic president. Can he succeed in destroying democracy as we know it? Does he have the potential to destroy the world in a nuclear holocaust? What will it take to stop him? Although many of the events occurring in the book sound unbelievable at first glance, much is taken from history and similar events that have really happened. Of course, President Runk and his appointees are fictional. If anyone notes a resemblance to Donald Trump, that is just a coincidence. This book will have you hanging on for one hell of a rough ride. In Kansas and Missouri, the War Between the States started long before Fort Sumter. As it esculates to a declared war, follow Daniel , Rebecca and Andre, as they deal with the war's brutal consequences. Throw into the mix the larger-than-life characters who played a part in the sectional violence which led the nation into its bloodiest war and you have a novel with all the drama of the era. You'll meet James Lane, JEB Stuart, Robert E. Lee, Joseph Shelby, Harriet Tubman, Abraham Lincoln, and the other men and women who have shaped this nation into what it is today. You will never look at any of them as just characters in a history book again. This is a historical novel unlike any you have ever read before. It is a blend of history, action and romance. Facts read like fiction, and fiction could have been fact. It is a story of a time that changed a nation and a handful of people who lived and died in our nation's most colorful era. "Great story! I can't wait for the next book to come out." Lydia Hawke, author of Civil War novels Firetrail, Perfect Disguise, Exiles On The St. Johns, and Raiders On The St. Johns. "Splendid!" Renee Gordon, staff-writer for the Philadelphia Sunday Sun. "Really loved the characters in this one. Of course, now I'm worried about what kind of jeopardy you're going to expose them to in the sequel and if they'll survive!" Barbara Sachs Sloan, author of FOCUS: A Blueprint for a Happier Life. To purchase any of my books just click on the Paypal buttons. Email me at katyrw (at)hotmail.com. Come explore caves, hills, whitewater falls and lots of other fun things you didn't expect to find in Florida. North Florida still lets you enjoy the sun and sand of Gulf and ocean beaches, you expect in the Sunshine State but there is so much more. The northern counties are totally different from their southern and central counterparts. Wild About Florida: North Florida is the ultimate guide to eco-travel in Florida. Hike an aboveground cave at Florida Caverns State Park. Think you need to travel to the mountains for whitewater fun? You can find that right here in Florida at Big Shoals State Park offering the largest whitewater rapids in Florida. Looking for rare and exotic wildlife? How about the Sherman fox squirrels at Gold Head Branch State Park or the white squirrels atOchlockonee River State Park? Into reptiles? You can view white alligators at Saint Augustine Alligator Farm. And that just scratches the surface. This book will tell you when and where to find all the outdoor fun you can imagine in north Florida. Like its south Florida counterpart, it is a guide no outdoors person should be without. We also have some great black and white illustrations inside to help visualize the wild wonders of north Florida. Then there are the whooping cranes. There are only three whooping crane colonies in the United States. Central Florida's Polk, Osceola and Lake county is the home of the only non-migratory flock of whooping cranes. Citrus County is host to the ultralight-led migratory flock that winters in Chassohowitzka National Wildlife Refuge near Crystal River. And then there is… but why not just read the rest of the book to discover all the things that are uniquely central Florida. Geography has dealt Florida a lavish hand when it comes to natural gifts. The Sunshine State is filled with unusual flora and fauna. South Florida is home to the endangered Florida panthers and the only North America crocodiles. The Everglades swarm with wildlife from birds such as wood storks, ibises, flamingos, roseate spoonbills and dozens of others to mammals such as black bears, bobcats, fox squirrels and raccoons. When it comes to reptiles, you will find more alligators than you ever dreamed of as well as gopher tortoises, caimans, green anoles, five lined skinks and hundreds of other snakes, turtles and lizards. Take a boat ride into the surrounding waters of the Atlantic or Gulf of Mexico, you will find dolphins dancing in your wake. Drop on down to Big Pine Key, which is the only place you can encounter the tiny Key deer in the wild. You will probably spot a few sun-loving iguanas as you island hop through the Keys. South Florida's plant life is also abundant and rich. From the native mangroves, which are at the root of the food chain to the colorful exotic Brazilian pepper, which threatens native plant life but seems impossible to eradicate to the delicate wild orchids, which thrive on air alone, your senses will be overwhelmed by the color and variety. Then there are also all the refuges, preserves, parks and zoos that make South Florida a nature lover's paradise. Wild About Florida- South Florida is a guide no outdoorsman- or woman- should be without. It lists those hard to find places and provides the inside scoop on those magnificent spots you might never find on your own. It portrays Florida's wonders with original full color photographs. Of course, you will also want Wild About Florida – Central Florida and Wild About Florida – North Florida. Even if you are not living or visiting the Sunshine State, this series is a great way to glimpse the wondrous natural side of Florida. The South has long been famous for its Southern Hospitality. Hotels throughout Dixie vie with one another to offer their guests more service and more amenities. They strive to make each visitor feel like a cherished family member instead of a paying customer. When you visit a hotel, you expect more than a temporary roof over your head while you travel. You want to immerse yourself in the flood of history that has engulfed the spot you visit. Perhaps you seek a Colonial ambience in Virginia or a touch of Civil War drama in Georgia or Alabama. Or you may want to relive the brash frontier past of Texas, Kentucky or Tennessee. Maybe you wish to experience the Creole flavor of Louisiana or Mississippi's rural heritage. In Florida, much of its history has been influenced by its tropical and subtropical climate. Some of the states included in this book, like North and South Carolina have a culture so diverse you can expect to find a totally different experience depending on which part of these states you visit. You want to experience this flavor when you travel. This book is set up for you as a traveler. I have offered the most interesting sights whether they are historic places, fun attractions or off the wall less known sights that might be missed in some guidebooks. In some cases, I have arranged them in chronological order to give you a better historical picture of the area. Sometimes, I placed them for convenience of driving to them. I included both haunted and non-haunted, as I know you want to see all each area has to offer. Many of the most interesting hotels in the Southeast have an edge on making you feel part of their states' heritage. They are housed in historically significant buildings. All old buildings retain a trace of the historical elements that shaped their destiny. Ah, if only their walls could talk! Of course I can't tell you all about all the best hotels in Dixie. There are far too many. But I can let you in on the secrets hidden behind the doors of some of the ones with that little something extra, their very own historical spirits. Some are large, corporate owned resorts. Some are so tiny they are now considered bed and breakfasts or inns even though they were once hotels. Some are not what you consider a traditional hotel. They all do have one thing in common. These are the Hosts With Ghosts! Florida! The land of sunshine and wide-open beaches. But even the Sunshine State has its dark secrets. Places where centuries old spirits remain tied to earth. Beneath the façade of fun and make believe lurks the real Florida. Settled by often cruel conquistadors, Florida was Europe's first stronghold in the New World. The blood of Spanish, French, English and Native American had stained its verdant woodlands and sandy beaches long before it became part of the United States. It is still a great state for explorers of the modern persuasion. But if you want to enjoy it to the fullest, it helps to have some background and history before you begin your voyage of discovery. Here I have given you the bare bones of each place where I found spirits lurking. 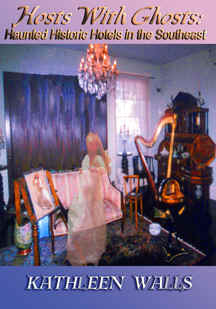 I have included places to stay, great eateries, fun attractions and most important, a ghostly preview. I have divided the state according to its natural geographic areas. Now it's up to you. Join me as we go about Finding Florida's Phantoms. We have probed the vastness of outer space. Our divers have plumbed the watery depths. Yet there are still many things science cannot explain. Who is not fascinated by mysterious things that go bump in the night? Who has never wondered about that thin line that separates the living from the dead? Are there some places where departed souls still linger? I don't propose to answer that question. However, there are too many cases of reputable people reporting strange occurrences in certain places. It is even harder to dismiss the stories as foolishness when many people who have never met relate the same experience. Not since Robin Hood has any fugitive spawned this many myths and legends. Man Hunt looks at the man behind the myth. Who is the real Eric Rudolph? What are the influences that produced him? How was he able to elude the FBI's best agents for so long? As timely as today's headlines. Also a feature motion picture. Vickie's daughter is dead. Just one more dead druggie among the hundreds that die each year in Jacksonville, Florida's drug infested slums. The police aren't concerned about her drug-related death. VICKIE needs to know. Was it an accidental overdose, or murder? To find the answer, she must leave her safe life behind and plunge into the terrors of the drug culture. Will the search lead her to love? Or will she end up on a morgue slab, just one more casualty in the war against drugs? HANK His mistakes caused the death of those he loved most. Drug addiction is his sworn enemy. His chosen life has no place in it for love until he meets Vickie. After a painful divorce, Casey returns to the haven of her childhood, her great grandmother Weesie's tiny log cabin. Nestled deep in the Appalachian Mountains of North Georgia, the cabin rekindles memories of her happiest years as a young child enjoying Granny Weesie's tales of treasure. Casey seeks a peaceful refuge she will share only with her cat, Smokey. These ancient mountains are part of her blood and her culture. The beauty and the customs have always been sacred to her. However, much more than early memories await Casey in Bluejay, Georgia. By chance, or was it design, Weesie's childhood diary turns up in the cabin. The scrawled pages transport Casey back into the late nineteenth century. Far from finding the peaceful time she expects there, she uncovers a web of adultery, murder and intrigue that threatens to entangle Casey's twenty-first century life. That life threatens to become more complex when her new neighbor turns out to be a handsome victim of his own marital disaster. Lee Schmidt has vowed never to let another woman mangle his life. As Casey is drawn deeper into Weesie's life and times, her "real" life becomes more complicated by her growing attraction to Lee. Some strange occurrences happen in the cabin mirrored by tales of ghostly sightings in her family history. Her involvement with things past increases. As she travels back to 1879 via Louisa's diary, she meets an intriguing cast of characters. Donald Stuart, her "sister" Lillith's faithful lover, David, his evil hearted twin brother, Ma and Da Garrett, Louisa's parents and her own direct ancestors, and the other inhabitants of early Bluejay. Loretta learns that one harmless white lie can lead down strange paths. Little by little, her heedless statement draws her into a dead woman's identity. Will her deception bring her true love or death? She struggles with her growing attraction to Greg, the rugged attorney, who accepts her as his dead friend's daughter. As she is drawn deeper into the web of deceit, it becomes increasingly clear that someone wants to kill her. The motive, her share of a vast English estate. Is it Richard, her supposed half brother who has the best motive, or Polly, his doting aunt, with her knowledge of herbs and poison? Could it be Nat, the seductive outsider, who offers friendship? Perhaps it's Morgan, Nat's handsome twin, who romances Loretta. Is it her person or her fortune he desires? Perhaps even sickly Arabella, the twins mother,could be driven to murder to help her children. Worst of all could it be Greg, who has captured her unwilling heart? Does he return her love or is there someone else he wants? In the entire family, only little Drew and his two beloved dogs appear trustworthy. But even he has his secrets.